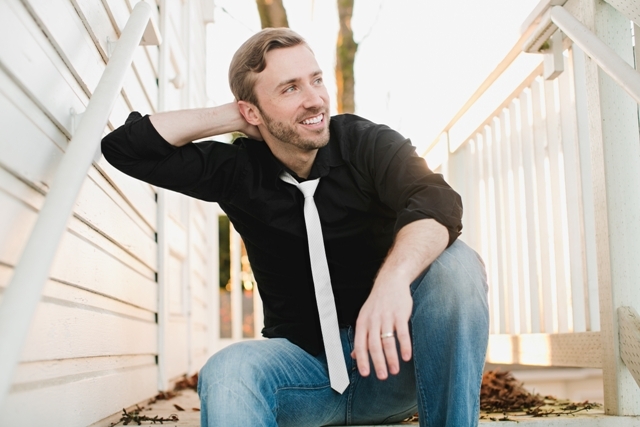 An Interview with A Capella Master and YouTube Video Sensation, Peter Hollens! Peter Hollens is the latest a cappella star to hit the scene. He has been releasing videos on YouTube for over three years and due to overwhelming positive feedback, he released his debut album on October 27th via Portrait/Sony Music Masterworks. The album includes fan-favorite covers as well as an original composition. There are even collaborations with artists like Brian Wilson of The Beach Boys, Jackie Evancho, Lindsey Stirling and Avi Kaplan of Pentatonix. How did you first get involved with a cappella music? I discovered a cappella in high school when I heard a cassette tape of BYU’s Vocal Point. I also listened to groups like the Nylons, Rockapella and of course, Boyz II Men. I was so excited to join an a cappella group when I got to the University of Oregon, but when I found out they didn’t have a group to join, I got together with a good friend and we started our own! Tell me what the experience was like forming the first official collegiate a cappella group in the state of Oregon? How did you come up the group name, On The Rocks? It was an absolute blast! On the Rocks became a popular group on campus and eventually went on to help define the all-male college sound. Those first few years were magical and I formed bonds with some great guys who I’m still close with today. It has been so cool to see the group go on and the success they’ve had. It’s pretty special to see them continuing traditions that we set up many years ago. The name On the Rocks was inspired by Straight No Chaser from Indiana University who we were really into at the time. Do you still judge a cappella competitions today? Not anymore. I enjoyed it for several years and maybe I’ll do some more in the future, but life has just been too busy and now being a dad I have different priorities. I’ve been watching a lot of your videos. I especially enjoyed your epic Disney Medley with Alex G. That looked like fun to make. Typically, how long does it take to make one of your videos? What are some of your favorites? I would say between concept, arranging, recording, editing, mixing, mastering for the audio, and visual conceptualizing, recording, editing, and coloring it usually takes around 100 hours each video. The amount of talent I have the opportunity to work with on my team is incredible, and it allows me to focus on bringing a steady stream of videos for my community every other week! You’ve worked with a ton of artists. What’s been the most memorable experience? One of my most memorable experiences was filming the Disney medley. Usually the most memorable experiences are the ones where I get to work with my video team and wifey, and just go out on location and have fun and be silly and enjoy the entire experience as much as humanly possible. I think it comes through in the end product too! You just released your debut album. What are some of the emotions you are feeling now? A lot of nerves. I’m proud of the album and happy with how it turned out. I’m scared it won’t do well, but I’m hopeful it will. I’m soo grateful for an amazing support system I call the Hollens Family who have supported me every step of the way and their reactions have been so great. I’m so pleased they like it! 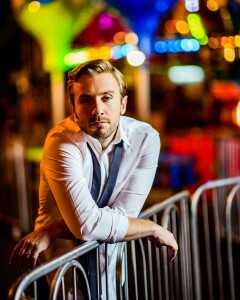 Along with fan-favorite covers and a original song, there are collaborations with Brian Wilson of The Beach Boys, Jackie Evancho, Lindsey Stirling and Avi Kaplan of Pentatonix. How did you go about deciding what went on the album? Well, I wanted the first album to represent who I am as an artist and with that, show the diversity in music that I choose. In some ways we wanted it to be like a “greatest hits”, so I chose my favorite, along with the most successful songs I had already covered. The new collaborations just sort of organically developed in time to release on the album, so it just felt natural. And of course, the artists I was working with were so extremely talented. I felt honored to feature them on my album! What was it like working with all those talented musicians? Brian Wilson must have been very cool! It was an absolute honor working with all these amazing artists and people I’ve looked up to for many many years! I think I was a little in shock when I got to record a song with Brian Wilson. What are some a cappella covers that you would still like to do? What about someone that you would really love to work with? Oh man, there are so many! I really try to listen to what my community of supporters suggest; they usually have great ideas and then I know I’m doing something that someone really wants to hear. Well, I think I’ve finally got a Piano Guys collab on the books, so next in line would probably be Pentatonix. They are friends, but very busy performers and I’m not sure it’ll ever happen…but hopefully someday! 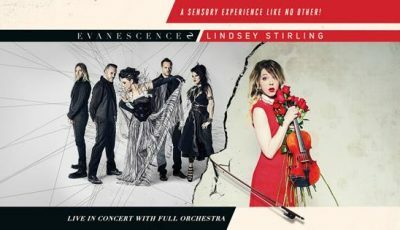 Honestly, I’d always love to work with Lindsey Stirling again! Are there any covers or a cappella versions of songs out there done by other performers that you really like? What are they? Thus far, what’s a favorite memory or something funny that’s taken place with you (in-studio or elsewhere)? The entire Star Wars shoot with Lindsey Stirling was such a blast; lots of funny moments! We actually filmed in a TV studio’s control room all night one night for the Darth Vadar scenes & my best friend Josh played Darth. It was so much fun! Where do you see yourself in 10+ years? Honestly, I hope I’m still doing what I’m doing now, but hopefully I’ll have reached many many more listeners! Of course I hope my fan base continues to grow so I can inspire more and more people with my music! I’ll be interested to see what I’ve done or am maybe still doing in terms of a future “live show” or the whole touring thing, but really not sure what the future holds! I do hope I continue to collaborate with other great artists. I have been extremely lucky to be able to work with so many talented people in the past few years, so I just hope that continues! !